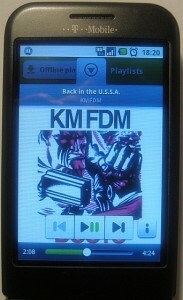 The Spotify on Android app is a 935KB download from the Android Market (or manually here). Once installed, start the app then enter your Spotify username and password. You only need to do this once as the app remembers who you are (unless you explicitly logout to change user). View and select from all your playlists. Click a playlist to view all the tracks. Click a track to start playing or long-press to open an options screen to delete, view album tracks, or view artist. You can add and edit playlists too. Changes are reflected on the desktop app (and changes the playlists on the desktop are synced with the mobile app: cool!) It’s a bit tricky to manage lots of playlists on the mobile (and you can forget about re-ordering songs in your playlists) so you will probably still use the desktop version as the main manager. There’s no way to jump to a particular playlist (unlike, say, the Android contact list with its jump-to-letter feature) other than scrolling through them all, so if you have lots this can become a drag. Perhaps one solution might be to create a “master” playlist with the first track from all your albums. You can then use this as a quick jumping-off point to say all your prog-rock albums or all your R&B. When you lose signal, synced playlists move to the top of the list and unsynced playlists become greyed out: this sort of attention to detail shows how much work went into developing this app. Click the search button then type your search query. You can enter a simple search keyword (a band’s name, for example) or use the full search syntax (such as label: or year: ). 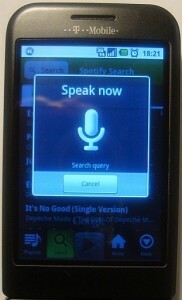 The search also works with Google Voice Search so you can simply say what you want to listen to! Select a search tab (tracks, albums, or artists) to view grouped results. 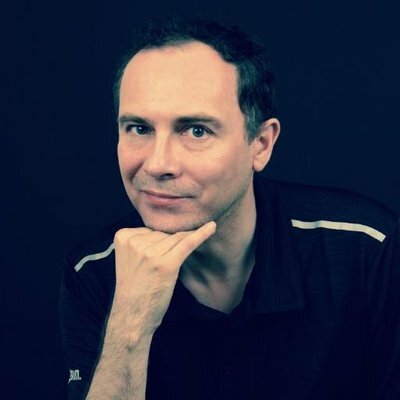 The search works with Google’s Voice Search – brilliant! The Home tab (also known as What’s New) lists a selection of 16 of the latest releases on Spotify, much like the Home area on the desktop. There’s no More button though, and no Top Lists or Artists You May Like sections yet. Still, it’s a great way to quickly see some of the latest additions directly from within the app. Lets you edit settings and view the About screen. Settings include tick-boxes to Sync over Wi-Fi and Sync over 3G as well as a Force Offline tick-box. You can also clear the cache from here. The main play tab sits in the middle and scrolls up and down like the main Android menu tab. This is a novel use of the tab and provides a cool effect while functioning as the Now Playing tab (you can also use the track details in the Android Notifications area the quickly jump back to Spotify). Click the album art to show or hide the Prev/Play/Pause/Next buttons as well as an Info button to display track details along with repeat and shuffle buttons. Swiping the album art goes to the next or previous track but there’s no long-press function. The tab icons are much cleaner compared with the early demo, and there are a few other minor changes such as the artist tab on search. The much-touted Offline mode works brilliantly: select a playlist to sync offline, click the done button, and the tracks start streaming down in the background (even while you continue to listen to other tracks). 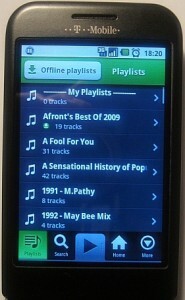 You can then Force Offline from the options to use your device as a standalone music player (i.e. make it plane-friendly). I’m sure this feature will also be invaluable in many workplaces where they don’t let you use their network for Spotify. Spotify say that “you can listen to these playlists without switching back online for a maximum of 30 days” so I assume they’ll get deleted then to clear space. Now for a few niggles. I’m not too keen on the artist navigation. It’s in some kind of popup which instantly reduces the amount of screen space available (this is also true for the Play tab and is probably why the transport buttons sit on top of the album art instead of below it). What with the artist’s name, the three tabs (Top Hits, Overview, Biography) and a big OK button only about half the screen is available to list the tracks in (also Spotify for Android only displays in portrait mode – i.e. no tilting). I’d like to be able to set the Overview tab as the default one but there’s no option to do this. Artist list of albums, singles, and compilations in a seemingly random order – Spotify please fix this bug! Also the lack of scrobbling to Last.fm is disappointing, especially as the desktop app has it. I’m no expert coder but I would think it’s relatively easy to add, especially given that the background scrobbler already exists (Scrobble Droid) with a simple API. Since this is a mobile app, the best way to test it of course is to go mobile. I live and work in Edinburgh and usually walk home each day. It’s about a 30-minute walk that takes me out of the city centre and down towards the sea. I’d previously tried using the Last.fm app on my journey but was ultimately disappointed with it. Annoyingly the 3G signal along my route ranges from good to non-existent: there are pockets where the signal drops completely (albeit only briefly), enough to make the Last.fm Android app pretty much unusable. I was getting perhaps 20 mins of music and 10 minutes silence, with frequent stops to force the app to start playing again with the next track. 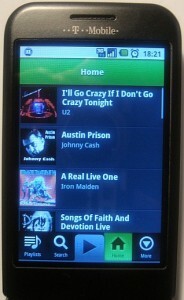 So how does Spotify for mobile perform out-and-about (without flipping in into Offline Mode of course)? Well, it’s good but not perfect. I had half-a-dozen micro-pauses during the first 5 minutes, but then it worked well (better than the Last.fm app) and with almost no delay between tracks. But then halfway into my walk the music just stopped and would not start again, even though 3G seemed fine. Rewinding the track a back seemed to fix it, but the same thing happened a few minutes later. So it seems that if you’re staying somewhere with a consistent decent signal then Spotify on Android is excellent. But if you’re moving about a lot, the caching is not perfect and when the signal goes you will hear some silence. Of course this is really all moot because of the offline mode: all I need to do is set some offline playlists before I set off on my journey for pause-free playback! If you’re wondering which is better: Spotify on Android or Spotify on iPhone, then there’s only one way to find out: read the Android vs. iPhone Spotify Smackdown! Spotify on mobile is a game-changer for music, of that there is no doubt. It’s instantly become Android’s killer-app for any music fan. 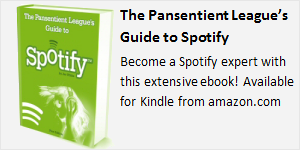 Need a reason to upgrade to Spotify premium? This is it! 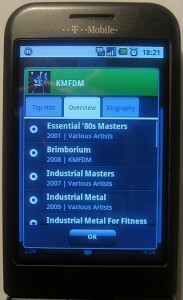 The celestial jukebox (of over 4 million tracks and rising) now fits in my pocket for only £10 a month!